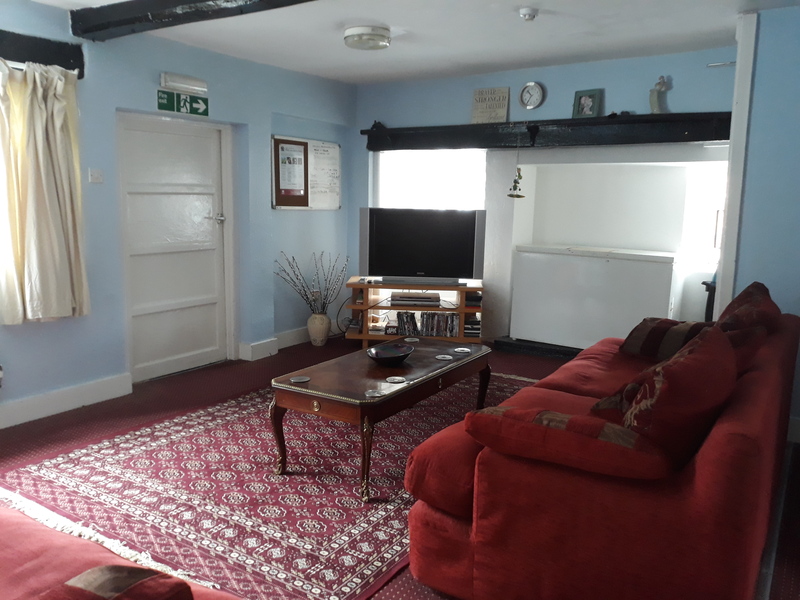 In spring 2018, The Fine & Country Foundation gave £3,000 to Emmaus Coventry and Warwickshire for the Community Building refurbishment programme. See how your donations make a huge difference with the latest updates from the project below. The Community Building houses 18 formerly homeless individuals, known as Companions to Emmaus. The building is a converted Vicarage which is in need of constant repairs and upgrading. 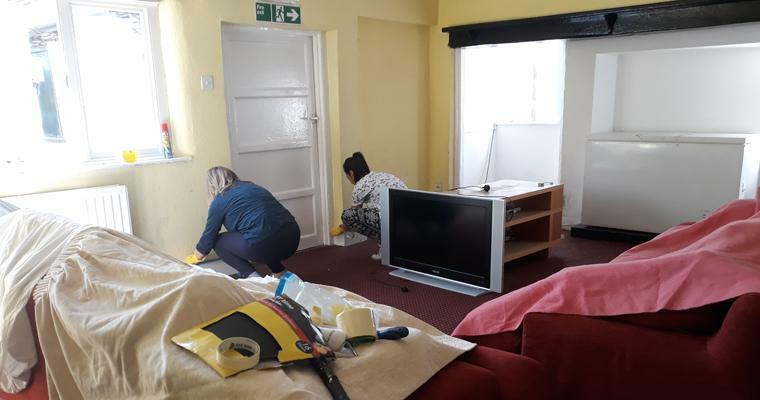 Geraldine Tsakirakis, Community Director of Emmaus Coventry and Warwickshire said: “We started by painting the communal room and repaired the cracks in the walls. 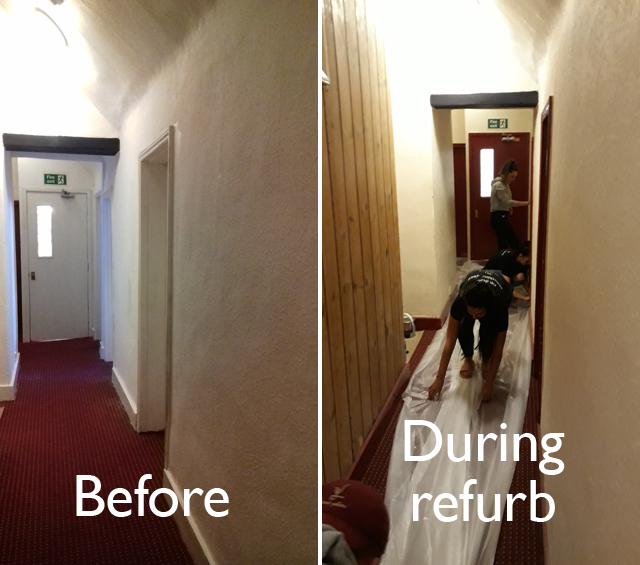 We then moved into the upstairs corridor which needed new flooring and a touch-up on the walls. 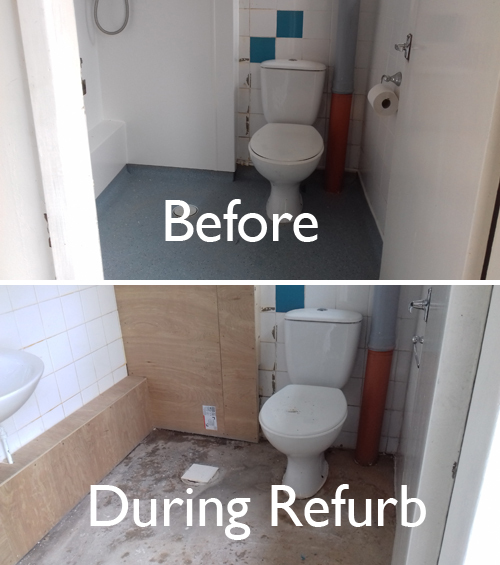 “We recently undertook a complete refurbishment of one of our bathrooms: it has been transformed into a wet room. “It is important for us to provide good quality accommodation for people who for many months and years have not had a stable home,” said Geraldline. Safe, secure and well-kept accommodation allows Emmaus’s Companions to adjust to their new surroundings at their own pace. By sleeping in a warm and comfortable bed with three healthy meals each day, their physical and mental health drastically improves. This helps the Companions to move onto the next steps for becoming permanently independent: confidence, education, work experience and finally, moving into permanent independent accommodation. Emmaus Coventry and Warwickshire is one of 17 homeless charities in the UK and overseas that has received funding from The Fine & Country Foundation spring grant programme. To find out more about each of the projects your donations support, please click here. From 1st-31st October 2018, the grant programme will reopen. Registered homeless charities can apply for up to £3,000 to fund their projects. For more information and the forms, please click here.